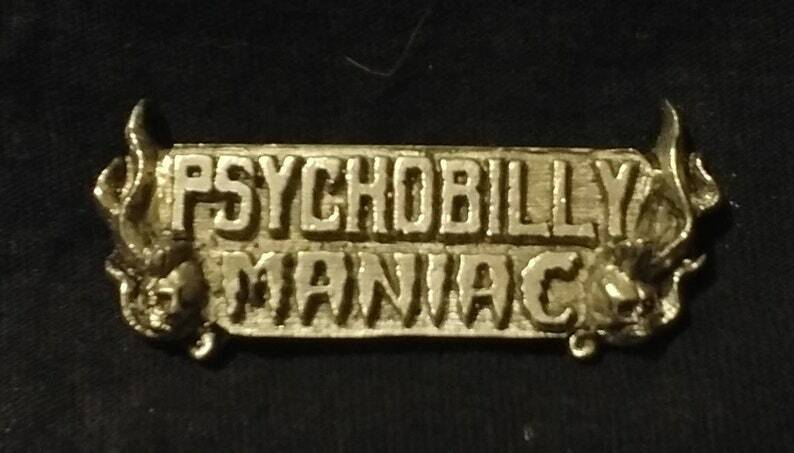 It has been a long time coming, but here it is at last, the brand spanking new Psychobilly Maniac badge! 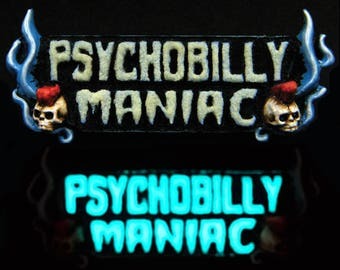 Completely unique, this high quality badge has amazing sculptural detail, showing the words "psychobilly maniac" with a quiff skull on either side and flames on the edges. This polished edition has been requested by so many of you that I finally relented. 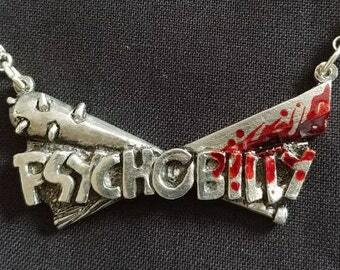 This is the ONLY place you will be able to purchase this gem of psychobilly goodness! Designed, hand-molded & hand-cast by the artist TMH in London, England in the highest quality English Pewter.